Amoeba. Fish. Sea anemone. Aliens. These are all fair interpretations of Korean artist Sui Park‘s sculptures and installations made from interlocked cable ties. 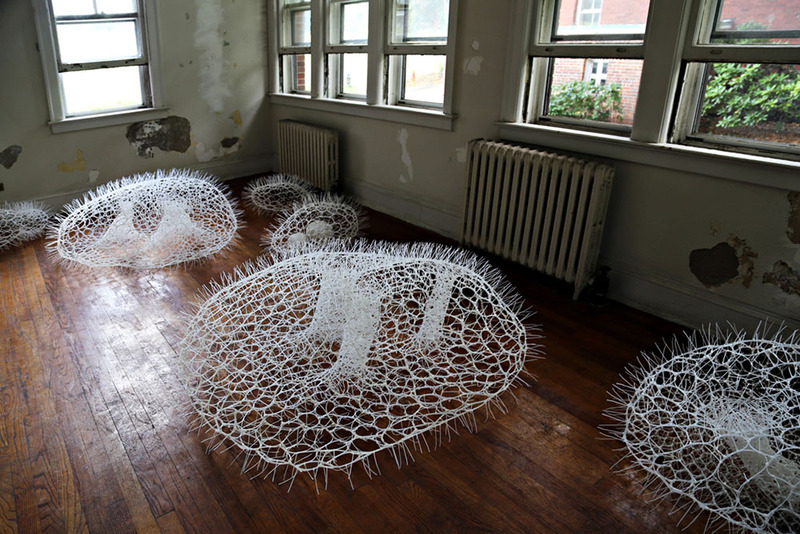 Weaving together the plastic fasteners she creates undulating organic surfaces or swarms of creatures that swim in schools and cluster together like eggs. 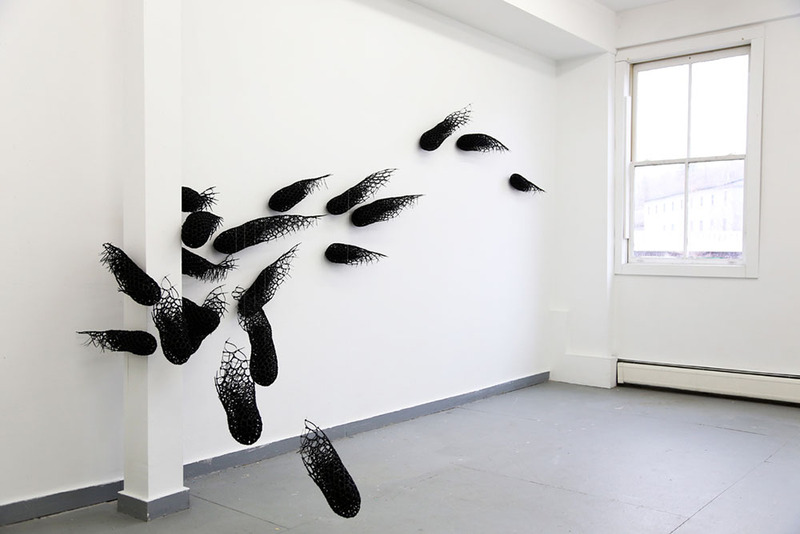 Park recently had a solo exhibition titled ‘Playing with Perception’ at Denise Bibro Fine Art and currently has work on view at Summer Sculpture Showcase 2016 in Connecticut. You can see more of her work on Behance.